Learn what fishing is all about. Practice proper casting technique, learn what bait to use and how to locate the perfect fishing spot. Test your luck at the War Eagle Fishin’ Hole. It’s brimming with huge catfish! 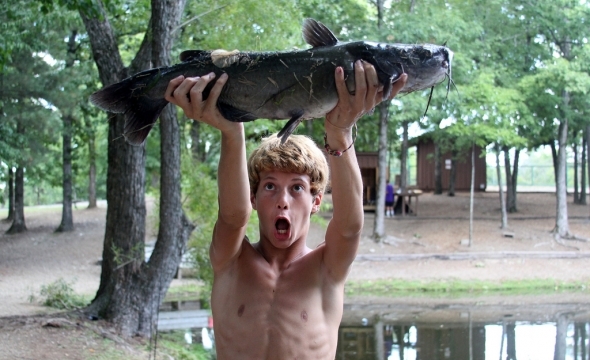 Come join me this summer at Camp War Eagle, check out the Fishing.